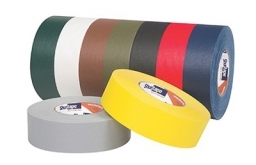 Description: Industrial grade coated cloth tape, available in a variety of colors, used for color coding, seaming, bundling, and protection. 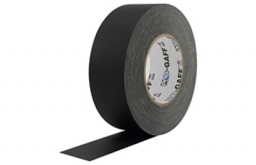 Also used as a gaffer’s tape in the Arts & Entertainment industry to hold wiring, lighting, and props. 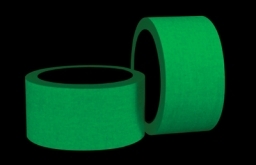 Description: Heavy-duty vinyl coated moisture-resistant cloth backing with excellent flexibility. 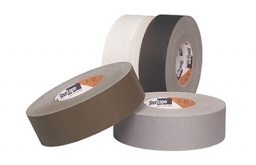 High tack tape with excellent adhesion for superior performance. Non-reflective backing for low gloss. Retains flexibility and conformability in both low and high temperature applications. 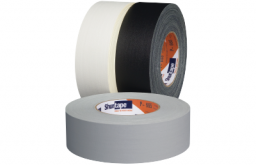 Description: 11.5 mil vinyl-coated professional gaffer’s tape used in the Arts & Entertainment industry to hold wiring, lighting, and props. 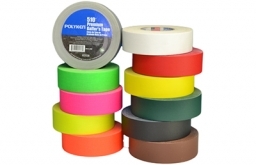 Other applications include color-coding, seaming, bundling, and protection.